I'm sitting outside on a beautiful day in Orlando as I write this. Think I'm bragging? Think again. While I am sitting on one my patio chairs I'm not on my patio. No, I'm actually sitting outside a public storage locker watching all of our earthly possessions get tucked away by a moving company. When all of it will see the light of day again ...only God knows. You probably have a few questions right now. Join the club. Where are you moving to? Don't know. Are you staying in Florida? Doesn't appear that way. A. God is up to something. B. I have been exploring a few opportunities at some great churches around the country. C. I am currently still working for World Orphans and I am still a huge fan. They were among the first to know all that I am writing here. D. I am pumped and completely honored to even be considered for the positions at the churches who are seeking "God's man" for the job. E. Our lease is up on our house on February 7 and we needed to move out. We really don't want to waste $$$ by having to enter into another lease only to break it in a couple months. F. We are crashing at our friends - Nate & Meredith's house - for a couple weeks here in Orlando while these churches continue through their processes. G. We would like to keep said friendship with Nate & Meredith so if the process takes longer than a couple weeks we will crash at my parents' house for a couple more weeks. H. If the process takes longer still we will most likely bite the bullet and try to find a place we can rent month to month. Or we might just come knock on your door. I. God has timed all this as only He can because I have been studying about God's call to Abram "I want you to go and I will show you where as you do." I love your sense of humor God. Really I do. J. Wherever we end up we believe will be the place our boys' will graduate high school, Lord willing. K. We would love for you to pray for us during this faith journey. L. Chase and Jackson (and Jeter) are troopers and are super excited about moving to a new house. M. If you were tired of seeing our photos at Disney World on Facebook every week this is a great day for you! 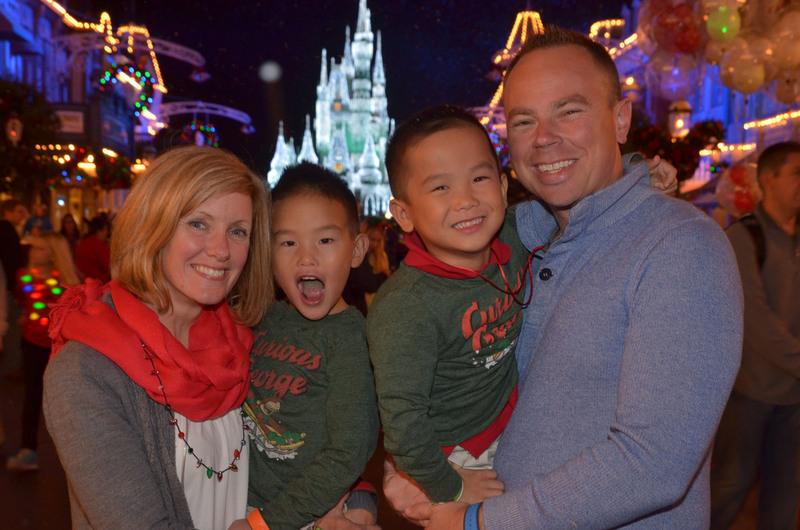 N. The past year and a half with World Orphans and our time in Orlando has been an incredible chapter in our story. O. We are really going to miss our Orlando church home - Real Life Christian Church. How this church is not more on the radar in our movement outside of Florida is beyond me. A lot could be learned from them. P. We believe the next chapter is going to be even better than the last. Q. I married the most beautiful woman inside and out. That has nothing to do with our move. That IS me bragging. R. The head of the moving company keeps smoking around our stuff which makes me want to extend the right fist of fellowship to his jugular. S. In the last hour, I have thought more than I care to admit how much our storage units would go for on an episode of Storage Wars? Yuuuuuuupppppp! T. I am SO excited to see what comes next. U. God is up to something. V. I'm so close to getting to Z but I'm ready to wrap up this post. OK. There you have it. Obviously right now I can't say where we might end up cause it's not really in our hands. And that strangely enough is what keeps us steady. Good bye stuff! See you when we get to __________________!